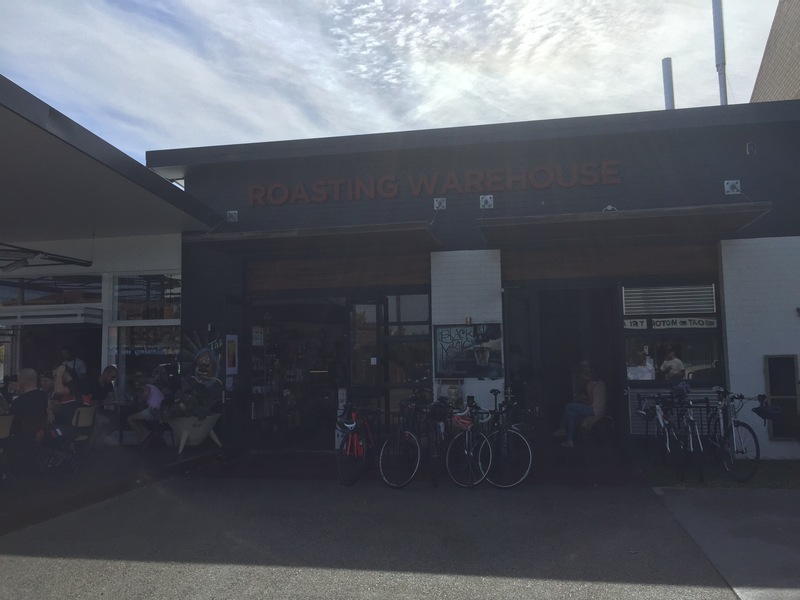 You’ll find the Di Bella Roasting Warehouse on South Street, it’s a huge venue with a unique open outside space that’s hard to miss! We chose to seat ourselves inside, close to the action but still able to enjoy the lovely weather. We were also situated close to Di Bella’s retail section, with plenty of coffee and goods available to take home with you. 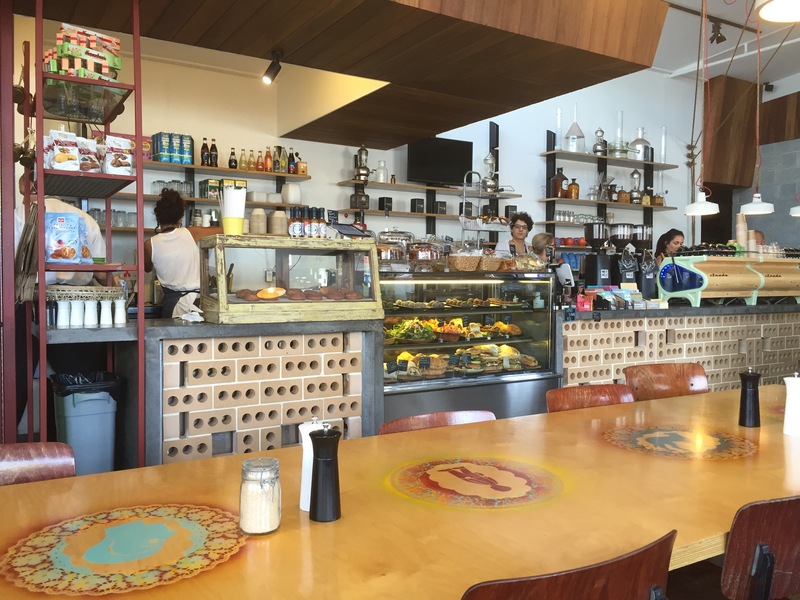 The counter is expansive, dominating the back of the store with an impressive array of treats and coffee machines on display. 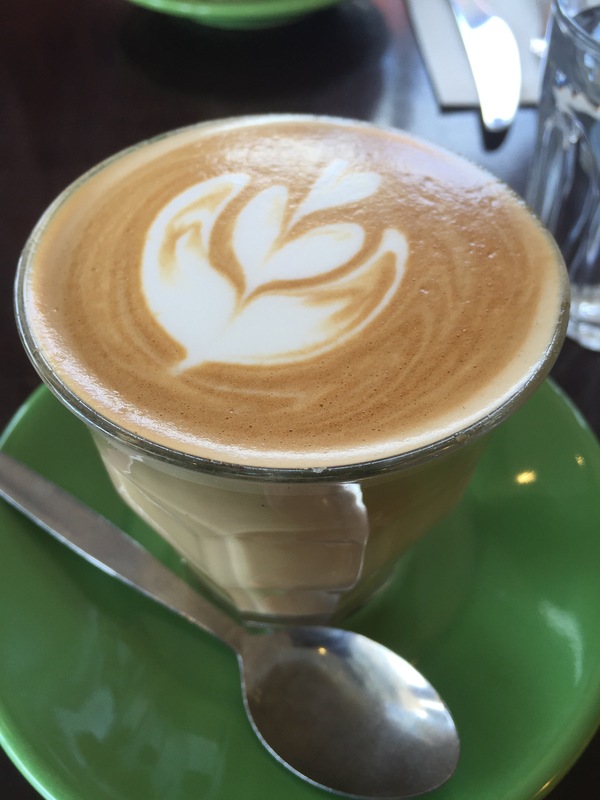 You’ll find Di Bella coffee across Perth, with plenty of cafes using their blends or designing their own signatures, like the Halo blend. Di Bella’s coffee on this occasion had a wonderful bite to it. It’s rich and complex for people who like a strong and full bodied coffee. 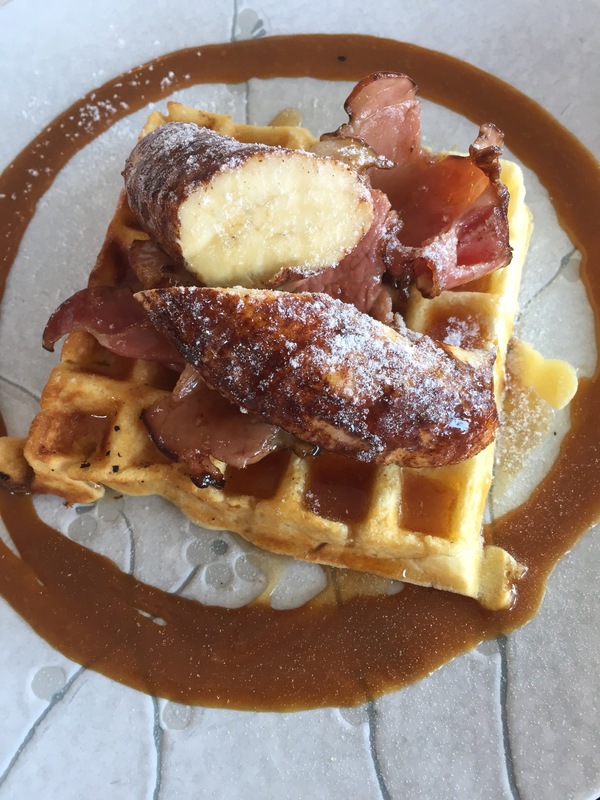 Our first dish was a sweet delight, banana and maple bacon waffles! The banana was grilled with some cinnamon, served with a delectable salted caramel sauce and bacon. The waffles were served hot but were a little lighter in colour then we expected, they could have been a more golden hued. This dish did what it promised, a sweet, hot and sticky indulgence, perfect for a weekend treat. 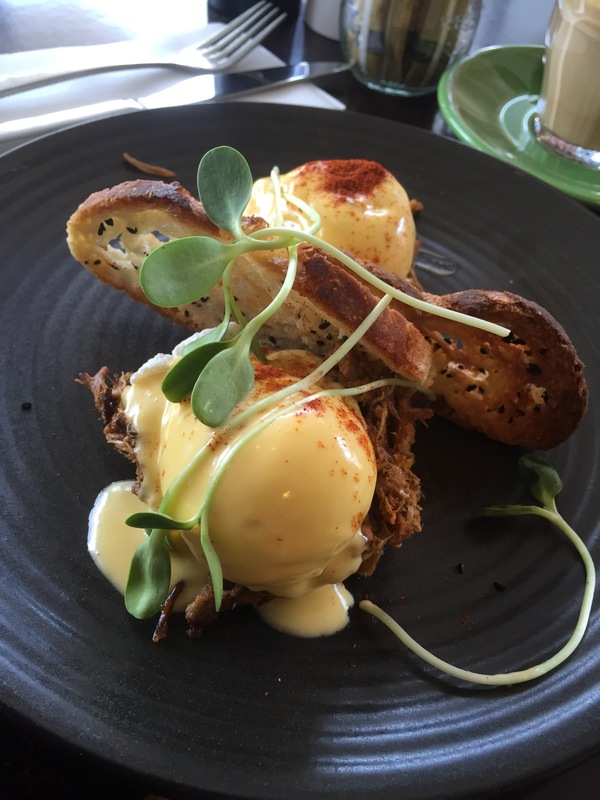 We also tried the spiced, pulled pork eggs benedict. This is a very popular menu item of late, it brought back memories of the Typika spiced beef benedict, as well as the Brooklyn Lounge pulled pork benedict. The dish was well presented in this case but rather impractical to eat with the toast being so crispy as to be impossible to eat your eggs with. The was a surprisingly large amount of meat and it was tender and juicy with a spicy warmth. The eggs were well poached but we would have liked more hollandaise to go with it. All in all this was a very on trend and delicious breakfast! 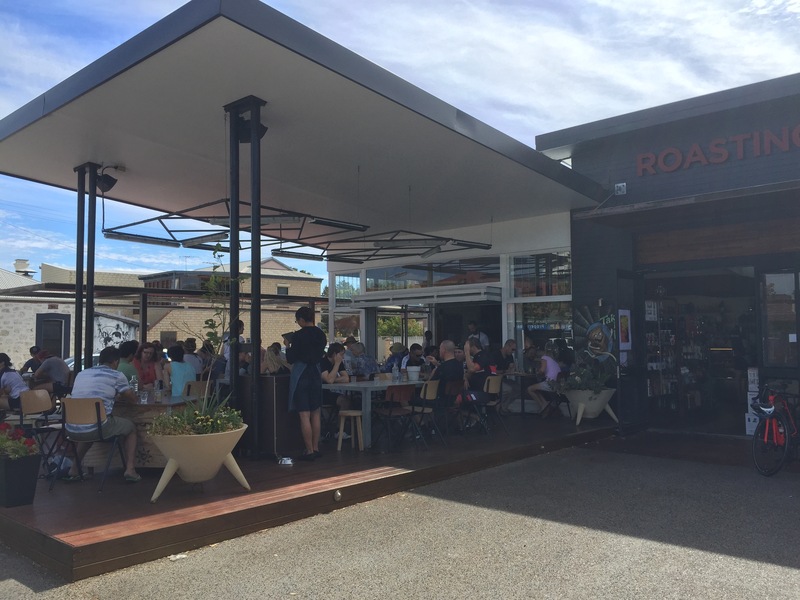 Di Bella Roasting Warehouse offer an experience coffee and breakfast connoisseurs alike will enjoy and it’s well worth the trip to Fremantle!